Back for its ninth season on CBS, Criminal Minds is often overlooked but has long been a solid performer for the network. Still, the show’s ratings did see a good-sized drop last season. Will the numbers continue to fall or will they rise again? Will it ever be cancelled? We shall see. Criminal Minds continues to follow the FBI’s Behavioral Analysis Unit (BAU) out of Quantico. This season’s cast is Thomas Gibson, Joe Mantegna, A.J. Cook, Shemar Moore, Matthew Gray Gubler, Kirsten Vangsness, and Jeanne Tripplehorn. Final season averages: 2.5 rating in the 18-49 demographic with 10.88 million total viewers. For comparisons: The eighth season of Criminal Minds averaged a 2.9 rating in the 18-49 demographic with 11.43 million total viewers. What do you think? 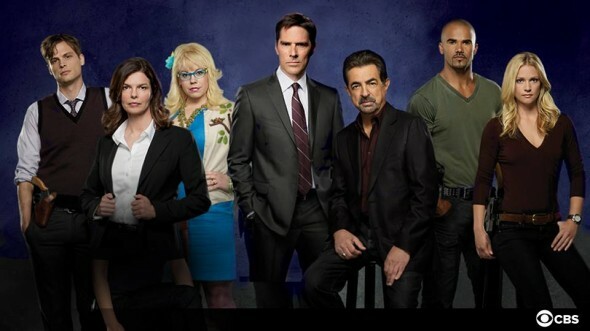 Do you still like the Criminal Minds TV series? Do you think it should be cancelled or be renewed for a 10th season? Taking criminal minds off the air will be a huge mistake. What in the world is wrong with you people. Firing Thomas Gibson was bad, especially if you didn’t fire the writer also. Writers think we(the consumers) don’t remember the episodes but they are wrong. Not everyone is brain dead. There are people like me who catch every error.